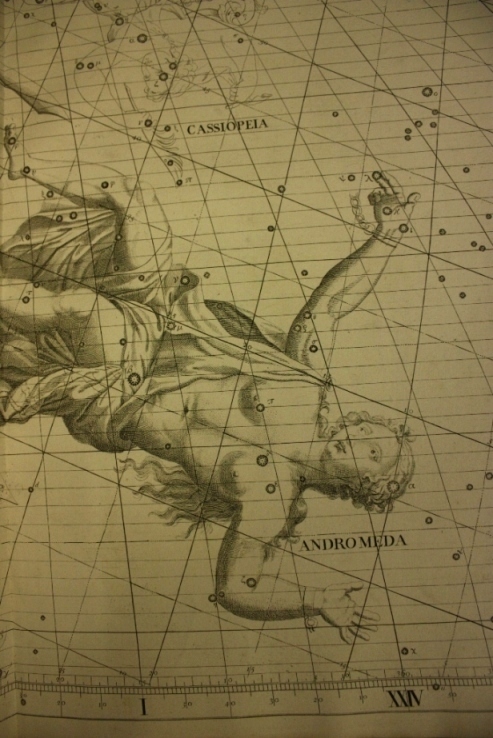 • See images from Flamsteed’s Star Atlas projected onto the new building. • Join Derby and District Astronomical Society to look at the wonders of the night sky through one of their telescopes. • Do some astronomy-themed crafts with Derby Museum and Art Gallery. • Planet-themed pizza and cakes will be available from the Mad Hatter’s Tea Rooms. The evening is a BBC Stargazing LIVE Event and is free. Dress up warm! 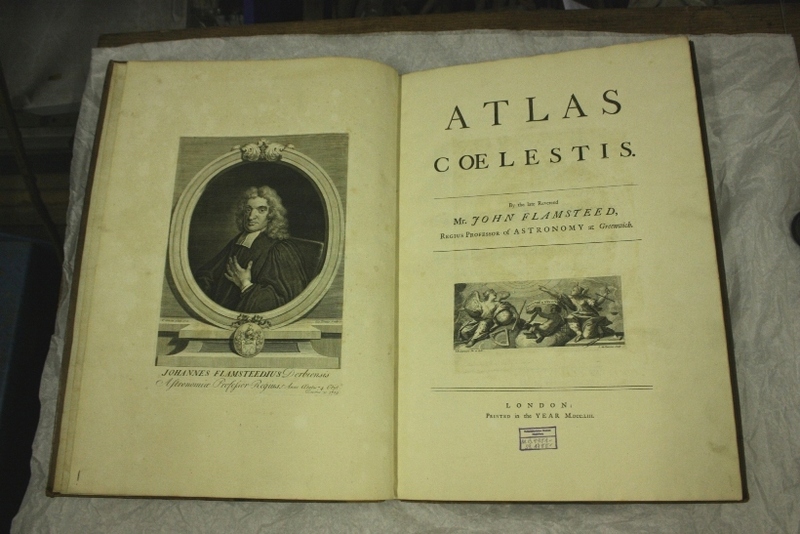 In June 2010 we purchased a copy of Atlas Coelestis’ by John Flamsteed at auction in Gloucestershire. The book was first published in 1723 and we have bought the second edition published in 1753. The purchasing of the atlas has created a lot of interest and the BBC came to have a look at the book and speak to Matt Edwards, Derby Museums Collections Access Assistant. Click here to watch the BBC slideshow. This atlas of the stars is based on telescopic observations and is considered 15 times more accurate than the best previous atlases. The coordinates of nearly 3,000 stars, charts and maps are beautifully illustrated by the artist Sir James Thornhill (1675 -1734). It was published and edited posthumously by Flamsteed’s widow, Margret and her assistants, first in 1729 then 1753 and finally in 1781. John Flamsteed (1646-1719) was the son of a prosperous merchant and maltster in Denby near Derby. He began to study astronomy between 1662 and 1669 on his own and opposed by his father. He was employed by King Charles II as Britain’s first Royal Astronomer on the 4th March, 1675, on the recommendation of Jonas Moore, a mathematician and patron of astronomy. The Royal Observatory at Greenwich was built for Flamsteed and he began observing in 1676, but he had to fund and bring his own instruments. He was elected to the Royal Society in 1677, where he was a Member of council from 1681-4 and 1698-1700. His earlier work Historia Coelestis Britannica was also not published complete until after his death, though a partial edition had been issued in 1712. The book is ‘Folio’ size (553x394mm) bound Cambridge style panelled calf, gilt spine with raised bands and a morocco title label.